Looking back today at the government's performance of the past one year, not much worth mentioning is seen. The economic growth may be as high as 6 percent this year driven by better crop output and service sector contribution. But growth of real the sectors—industry and manufacturing—are still to recuperate. Economists say they find the government's first year performance to be just an average, and that it does not give any positive outlook. "There is nothing to be hopeful in the past one year. The strongest government seems to have almost failed to bring in reforms in the fundamentals of the economy and expedite works in developments projects," said economist Keshav Acharya. The government's few initial steps in March and April last year, namely ending syndicate in transportation and booking non-performing civil contractors sitting on development projects, were widely hailed. But the strides on those areas stopped later without any clear explanation. Hopes of timely execution of development projects have been shattered. Mid-term review of the first budget of KP Oli government in March showed the same bleak picture in spending money for the development projects. The taxpayer's money is stuck in treasury vault while the shortage of cash runs deep in the market. "It seems economic transition still prevails here even though political transition has come to an end," Khatiwada had told the media. Few days after assuming office in February, Khatiwada had issued a white paper blaming previous governments for financial indiscipline. 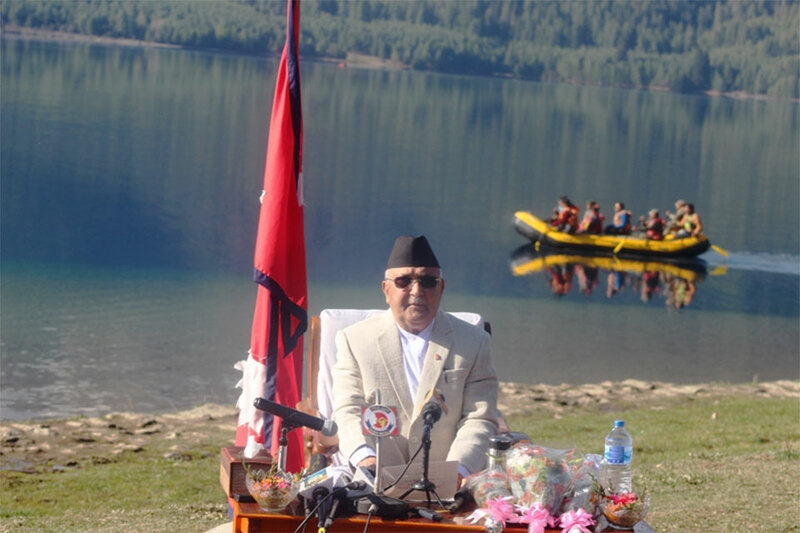 But like his predecessors, Khatiwada's term also saw expenses at the eleventh hour. His budget spending in the last months was 20 percent, or Rs 222 billion, of the total expenses of Rs 1084 billion in the year ending mid-July. Such last minute spending is almost always mired by substandard work and corruption. Meanwhile, the progress in Gautam Buddha International Airport project has been remarkable. The work of Kathmandu Tarai Expressway is also progressing at a fast pace, but transparency in project administration by Nepal Army has been questioned. The work of laying petroleum pipeline from Amalekhgunj to India's Motihari is about to complete. "Except these two projects, there is nothing to cheer about this government as nothing has been done toward stability of macro economy and improvement in trade balance," said Rameshore Khanal, former finance secretary. Economist Acharya hailed the government's moves to prepare laws on public private partnership and foreign investments among others. "But I am disheartened to see the government failing to expedite capital spending and intervening in project managements," lamented Acharya. 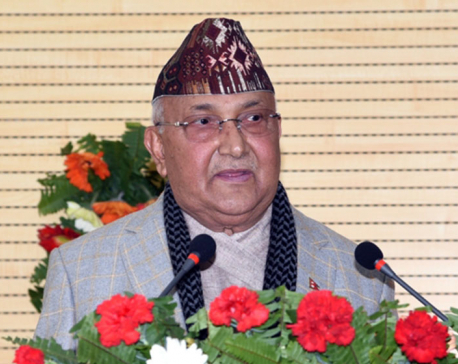 In the speech, PM Oli had said: "We have problems in project management, there is weakness in vision and a lack of confidence, and there are malpractices. But we can resolve all these problems." 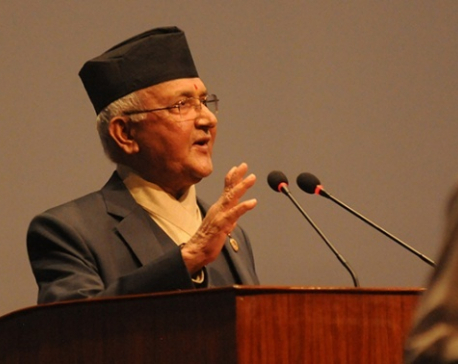 The government will also do the needful to make people confident about government service delivery, PM Oli had said. But after a year, tall promises remain flat. Problems remain almost the same, and nothing seems to be changing. The worry is: whether the dream of 'prosperous Nepal and happy Nepali' will remain a pipe-dream in the next four years of the current government.